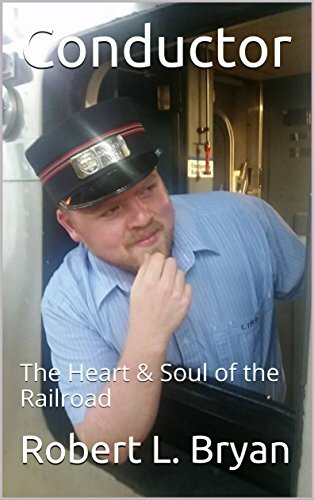 *(Free for Kindle Unlimited) Conductor: The Heart & Soul of the Railroad (Deal, Not Free) by Robert L. Bryan. Price: $2.99. Genre: Nonfiction Book Deal, Sponsor, Rail Road Conductor Life Stories, Origins of the Railroad, Railroad History. Rated: 5 stars on 1 Reviews. 115 pages. ASIN: B01N5QNT6Q. Posted on January 31, 2017 Author KibetCategories Free Kindle History Books, HIstorical, HIstoryLeave a comment on Kindle History Deals for Tuesday! ***VALLEY OF THE KINGS: The 18th Dynasty (Deal, Not Free) by Terrance Coffey. Price: $0.99. Genre: Well Researched Historical Fiction Deal, Sponsor, Kindle Scout Winning Author, Epic, Biographical Fiction, Egyptian History. Rated: 4 stars on 122 Reviews. 370 pages. ASIN: B01EG5NGFA. Posted on January 31, 2017 January 31, 2017 Author KibetCategories Free Kindle History Books, HIstorical, Historical Fiction, HIstory, Military, WarLeave a comment on Kindle History Deals for Monday! 6 Amazing free Kindle History Books for Sunday! *(Free for Kindle Unlimited) Conductor: The Heart & Soul of the Railroad (Deal, Not Free) by Robert L. Bryan. Price: $2.99. Genre: Biography Book Deal, Sponsor, Rail Road Conductor Life Stories, Origins of the Railroad, Railroad History. Rated: 5 stars on 1 Reviews. 115 pages. ASIN: B01N5QNT6Q. *Bechamp or Pasteur? by Ethel Hume, R. Pearson. Price: Free. Genre: History, Medical eBooks, Special Topics. Rated: 4.6 stars on 13 Reviews. 352 Pages. ASIN: B003NNUVOQ. In the Line of Fire: A Soldier’s Diary WWI 1914-1918 by Teofil Tobias Reiss. Price: Free. Genre: Biographies & Memoirs, Leaders & Notable People, Military, World War I, History . Rated: 4.8 stars on 5 Reviews. ASIN: B01KNEJB1Q. Woodrow Wilson: A Life From Beginning to End (One Hour History US Presidents Book 7) by Hourly History. Price: Free. Genre: Biographies & Memoirs, Historical, United States. Rated: 4.4 stars on 5 Reviews. 48 Pages. ASIN: B01N36VJEU. Free Books for Lovers of Works on Battles, Wars, Conquests and Much More: 250 Downloadable Books for You to Enjoy (Free Books for a Quick Download Book 7) by Michael Caputo. Price: Free. Genre: History, Military. Rated: 4.3 stars on 5 Reviews. 53 Pages. ASIN: B01DL3JPYY. Posted on January 30, 2017 Author KibetCategories Free Kindle History Books, HIstorical, HIstory, Military, ReligionLeave a comment on 6 Amazing free Kindle History Books for Sunday!